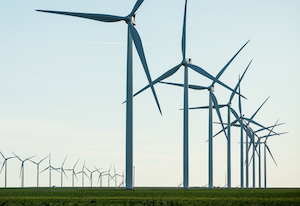 Across the nation, smart business leaders are doubling down on wind power because new business realities are driving an energy marketplace that is more diversified and flexible. Clean power sources, such as wind, solar and natural gas, are now customers’ preferred energy choices. And this new energy mix is actually improving America’s grid, adding resilience and reliability, along with more than half a million U.S. jobs, while saving U.S. energy customers and ratepayers billions of dollars in electricity costs. Last Friday, we heard more good news. Reports on DOE’s draft grid study confirm what major utilities have been saying with their wallets: “The power system is more reliable today” and “significantly higher levels of renewable energy can be integrated without any compromise of system reliability.” Continue reading. This entry was posted in NewsBlog and tagged economic benefits of clean energy, grid resilience and reliability, renewable energy, renewable energy jobs on July 20, 2017 by Helen Deffenbacher.